I am currently the Vice Chair of the Pa Committee, finishing a vacated term and looking forward for the opportunity to continue to serve the American Solidarity Party PA Chapter. I am a Licensed Clinical Social Worker currently working in the field of mental health in Pittsburgh. In my 12 years working as a social worker, I have also worked in Child Protective Services, and Healthcare. Everyday, I see members of vulnerable populations who struggle to get ahead with a deck stacked against them. I grew up in Dover, PA in York county and then moved in high school to the Pittsburgh region. I came to the party like many of us in the last election cycle, excited to find a party that truly represents the values I want to see in politics today. As a Byzantine Catholic, I was overjoyed to find a home in a party that is rooted in consistent values, which other political parties have all-too-often compromised. In my college years I had been an activist, including for the PA Green Party; as such, I am familiar with the challenges and rewards associated with growing the voice of citizens outside the two-party-system. In the future, I see both the PA chapter and the American Solidarity party as a whole being a voice and a home for the growing many who are unhappy with both the left and right in office. We have a great deal of support and supporters in PA, but there is also a need to bring more people together outside of the internet. I would like to see our party expand it’s profile in the coming year. Our platform, rooted in common sense, is appealing to anyone who hears it. With that being said, it needs to be seen and heard by more people. I am eager for the opportunity to continue to help grow this party into the voice that our commonwealth needs. I am a 39 year old small business owner and father of 4. I was born and have spent all but a few years of my life living in rural west-central Pennsylvania. After getting a BS in Agriculture at Penn State I spent a year volunteering in the urban farm program of the Capuchin Franciscans in Detroit, then a year and a half working at a shelter for homeless men with HIV run by Catholic Social Services in Philadelphia. For the last 9 years I have been building and running a business that provides marketing and distributions for a cooperative of Amish organic produce farmers in Clarion County, PA. I look forward to turning my business into a worker owned cooperative and exiting management so that my family can take over my father’s farm in Jefferson County. I have been involved in political activism since my college years, when I discovered the Catholic peace and justice movement and the Catholic Worker movement. As the president of the Penn State chapter of Pax Christi I organized demonstrations against the death penalty and war and ran educational campaigns to introduce fellow students to Catholic social teaching. Influenced by Christian anarchists like Dorothy Day, I didn’t register to vote until 2008 when Ron Paul gave me hope that a an anti-war, pro-civil liberties message might have a chance at influencing US policy. But I was very disappointed by the way the Tea Party took the worst parts of Paul’s libertarianism into the Republican mainstream while abandoning the parts that had attracted me to the Paul campaign. It wasn’t until the 2016 presidential campaign that I found signs of hope. First in Bernie Sanders who, like Ron Paul but from the other side of the spectrum, showed that an honest, passionate candidate can go far by standing up for regular people against the oligarchy. Most of all I was overjoyed to find the American Solidarity Party, a real political party fully compatible with Catholic social teaching that is pro-life for the whole life. 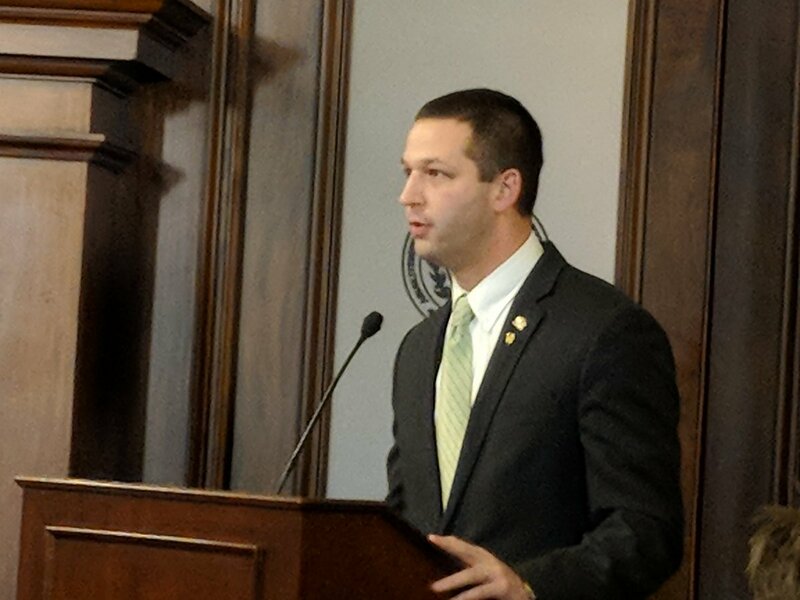 I would like to serve on the state committee for the Pennsylvania chapter of the ASP because I will bring a unique perspective as a rural member with strong connections to several rural communities that share our party’s values. I would like to see the Solidarity Party focus on growth through local politics. As a state committee member I would find and share resources to recruit and assist ASP members in running for local elections. As a homeschooling parent in a cooperative with six other home school families and connections to many more, I think expanding educational freedom for all families and resources for all students is a local way to demonstrate our party’s commitment to both subsidiarity and solidarity. The other big local issue where I see opportunity for the ASP is in the community rights movement as advocated by the Community Environmental Legal Defense Fund. This organization offers local governments assistance in resisting threats to their self determination and well-being. My own little township, under the direction of a Libertarian Party township supervisor, passed ordinances banning the dumping of fracking wastewater and denying corporate personhood. Combining this kind of radical resistance with competent management of day to day township business, he established a reputation as a community leader despite his “third party” affiliation. I think in Pennsylvania the ASP should lead this way, establishing our brand and training ourselves on the local level. Finally, I believe strongly that the state chapter should develop a strong and independent identity apart from the national management of the party, while enthusiastically supporting any national or state candidates outside of Pennsylvania. Born and raised in Pennsylvania, I grew up as a member of the Baptist Church and remain active in my local church. In college I studied secondary education before switching to sociology. Since then I have worked in sales and customer services. Just over three years ago I met the love of my life, and married her six months later – the best decision I ever made! I have always been fascinated with politics, sociology, anthropology, religion, and psychology, spending most of my spare time reading or discussing on those subjects. Several years ago I became frustrated with the seeming lack of caring from Republicans, and the sense of amorality from the Democrats. Finding myself​ politically “homeless” I researched political parties around the world and loved the idea of Christian Democracy. That was over 10 years ago. Today I am thrilled to be part of the American Solidarity Party. Since then I have served as Chairman for the National Committee and as it’s Treasurer, I am currently serving as the Vice Treasurer for the National Committee, the Director of Fundraising, and the Temporary Chairman for the American Solidarity Party of Pennsylvania. 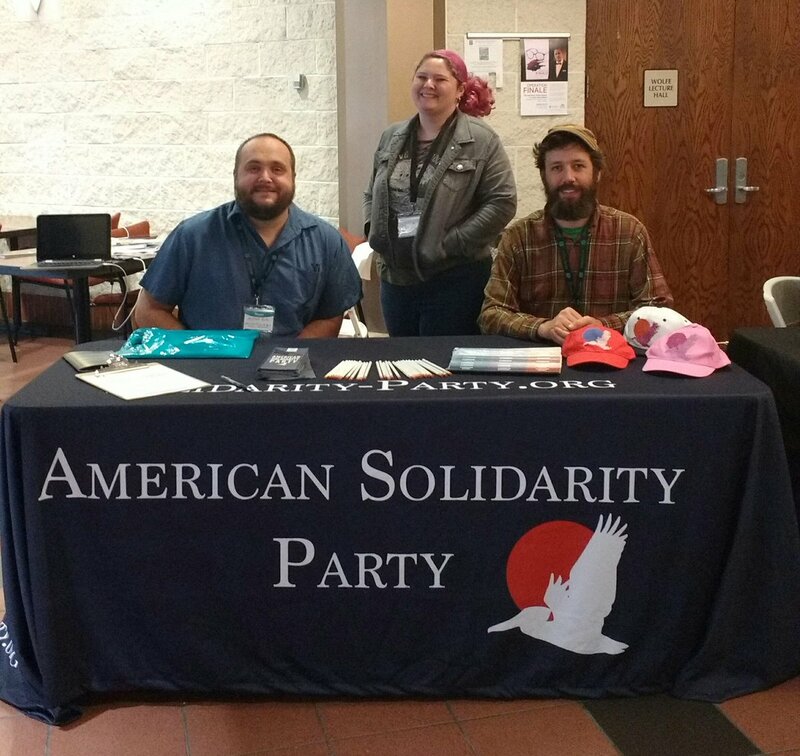 Dylan Wade Jolley moved to Pennsylvania from Tennessee via South Carolina in the Summer of 2016.
looks forward to furthering the cause of the American Solidarity Party of Pennsylvania. to bring awareness to members of the business community. be a productive member of society. causes, and policies that promote economic stability for all. It has been my pleasure to serve as a committee member of the PA chapter of the American Solidarity Party previously, and I hope to renew my service. We are in dire need of a politics which serves people before power, which promotes love of neighbor, and which consistently protects the weakest and most vulnerable among us. I look forward to promoting a distributist vision, rooted in a politics of peace and rejection of violence, which gives members a chance to work for radical change both in Pennsylvania and at the national level of our party.